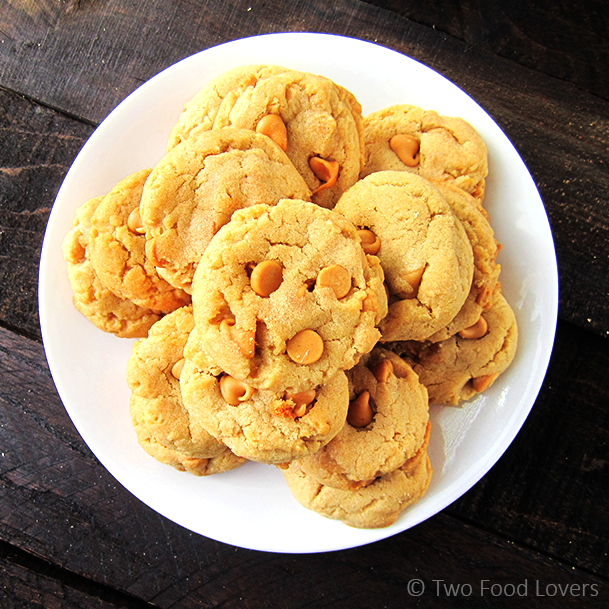 If you are a peanut butter fanatic, you will love these Double Peanut Butter Cookies. 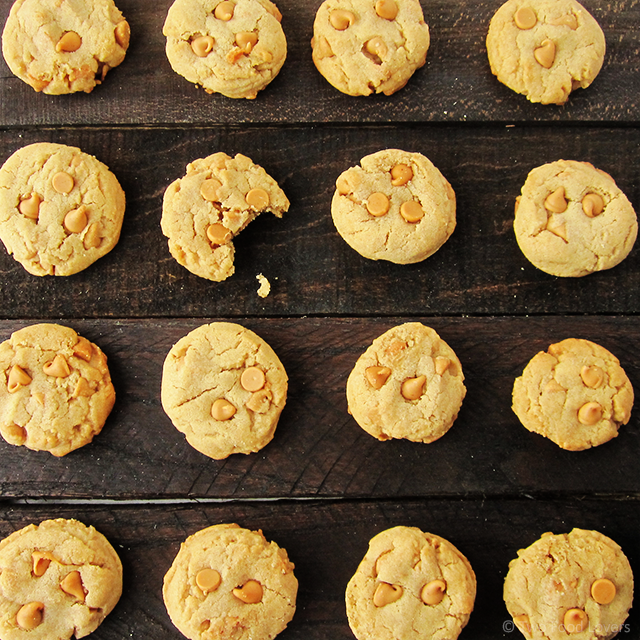 A classic peanut butter cookie is loaded with lots of peanut butter chips for ultimate flavor. Delish! There are two kinds of peanut butter people, a) you like peanut butter (how can you just like it? ), and b) you are a crazed peanut butter lover (like me). I've never met a person who does not like peanut butter. I know they exist, but they are few and far between. Have you ever been disappointed in a peanut butter cookie? Your anticipation is high, mouth is watering. You take a bite only to be met with a dry, crumbly cookie that tastes faintly of stale peanut butter. Ya. It's happened to me too. I used to think I just didn't like peanut butter cookies (how was this possible!? ), but then I found that I'd been fed/eating the wrong PB cookies. 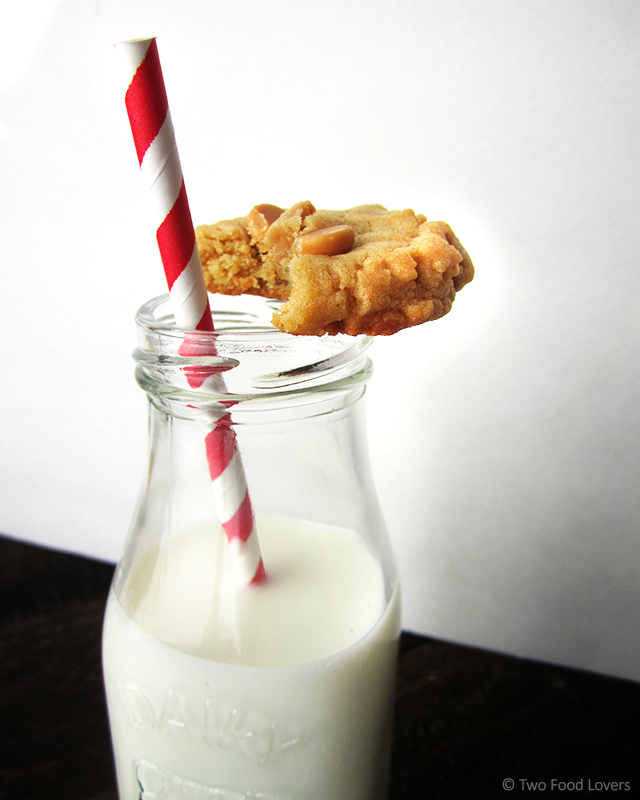 I'm a soft, chewy, melt-in-your mouth cookie kind of girl. So, of course, this cookie is just that. Soft, flavorful, chewy and moist, and most importantly, peanut buttery. I finally nailed down a recipe that gives me a peanut butter cookie I love, and then pumped up the peanut buttery-ness. It's peanut butter. The more, the merrier. What is even better about this recipe is that the resulting cookie stores well. It doesn't turn hard or crunchy. Rejoice, soft cookie lovers! Use traditional, creamy peanut butter, not natural or homemade as these are too oily. I will always and forever prefer Jif. Pick whichever brand is your favorite. 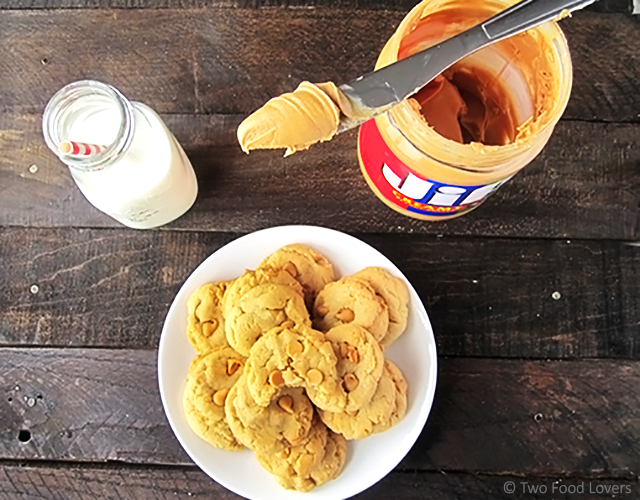 If you really, really love peanut butter, add lotsa peanut butter chips. Oh yea! Brown sugar is a cookie's best friend. It adds flavor and moisture. If you want your cookie to have a crunchy outside, roll each cookie dough ball in sugar before baking. When measuring sticky ingredients, like peanut butter, give your measuring cup/spoon a spritz of non-stick cooking spray, such as Pam, to help the ingredients slip right out of the cup. This saves you the hassle of scraping and fighting your ingredients to come unglued from the utensil. It works great for molasses, syrup, etc. Step 1: Using a hand mixer or a stand mixer (with paddle attachment), cream the softened butter and both sugars together on medium speed until smooth, about one-two minutes. Scrape sides of bowl. Add the egg and mix on high until combined, about one minute. Scrape down the sides and bottom of the bowl as needed. Add the vanilla and peanut butter and mix on high until combined. Set aside. Step 2: In a separate bowl, toss the flour, baking soda, baking powder, and salt together. Add this flour mixture to the wet ingredients and mix on low until just combined. Dough will be thick and very sticky. Add the peanut butter chips and stir until evenly combined. Try not to over-work your dough. Cover the dough with cling wrap and chill refrigerator for at least 2 hours. You can store cookie dough in the fridge, covered tightly, for up to 2 days. Step 3: Preheat oven to 350F degrees. Line two large baking sheets with parchment paper. Scoop balls of dough (I use a cookie scoop that is about 1.5 tablespoons) and roll into balls. Here you can also roll into granulated sugar, if desired. Place 2 inches apart on the baking sheets. Gently press the tops of the cookies down, just slightly. 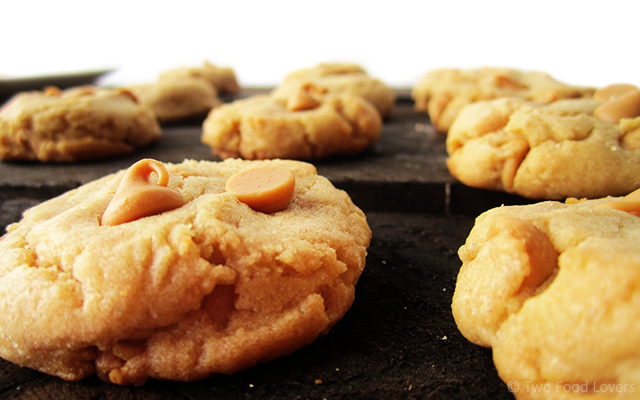 Press a few of the reserved peanut butter chips to the tops of the cookies. Bake for 11 minutes or until very lightly browned on the sides. The centers will look very soft and undone. Remove from the oven and let cool on baking sheet for 5 minutes to completely set before transferring to a wire rack to cool completely. Store in an air-tight container at room temperature for up to one week. *If you use salted butter, omit or reduce the additional salt in recipe. *Use regular, creamy peanut butter for this recipe, such as Jif. Do not use natural or homemade as it is more oily and will affect the texture of your cookie. *If you want a crisp outer edge on your cookie, roll the cookie dough balls in sugar before baking. 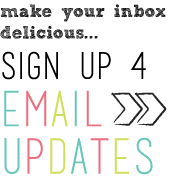 Get the latest recipes from Two Food Lovers: like us Facebook, follow us on Instagram and sign up for email updates!